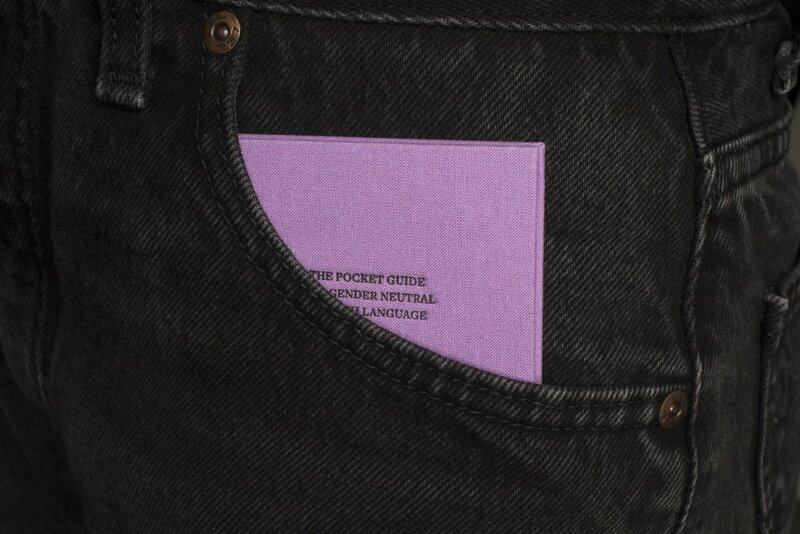 This hand bound, letterpressed cover pocket guide can work as a little reminder that there are gender neutral versions of all the gendered words we use arbitrarily. 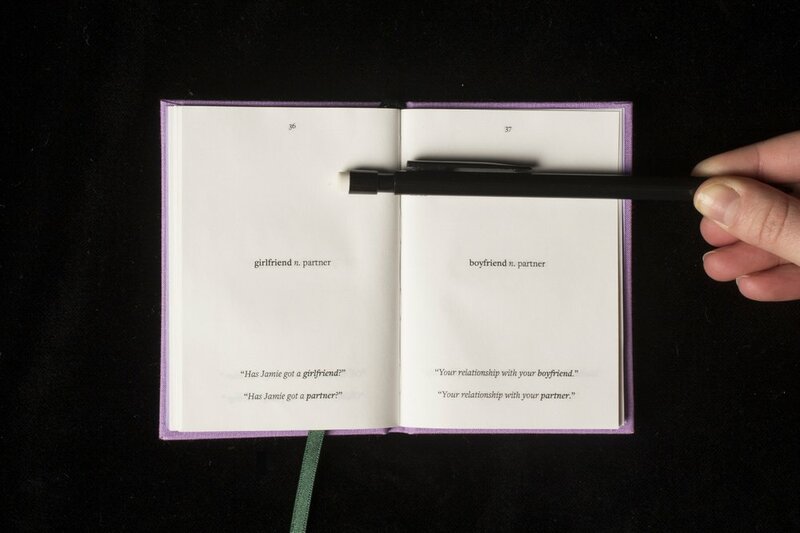 It's easy to bring anywhere, or to give to somebody that you feel needs a nudge towards the use of gender neutral language. 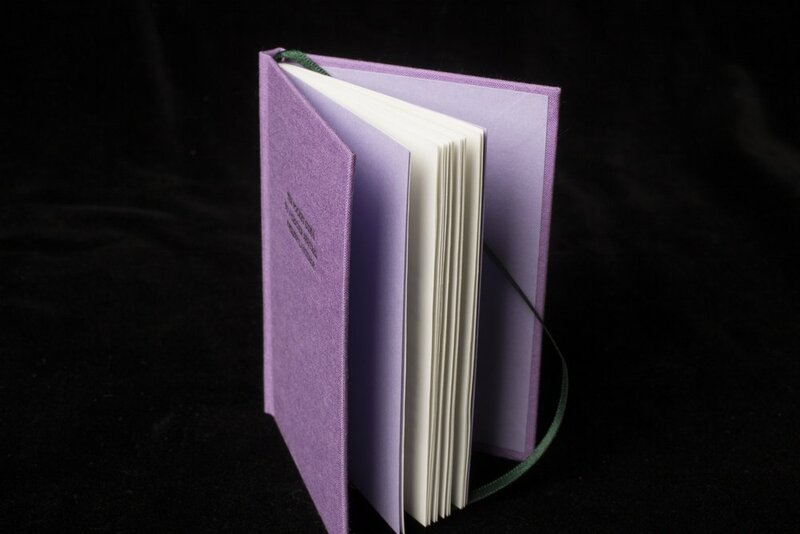 The violet, white and green represent the colours of the genderqueer and non-binary pride flag designed by Marilyn Roxie in 2011.